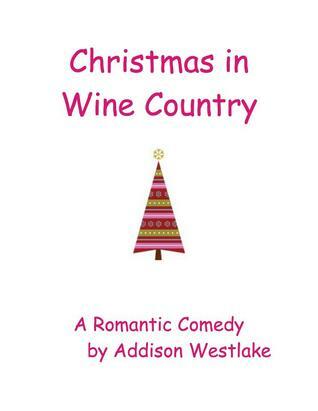 So, the last couple days I have been reading Christmas in Wine Country by Addison Westlake. I guess I will share what this story is about and what I thought of the story. Lillian Clark (Lila) gets her big opportunity to do the work Christmas party. What could go wrong, after all the plans have been made at a vineyard? Well, a lot can. When Lila gets there she finds its not the sophisticate Christmas party, but a Cinco de Mayo theme. Yep, a Christmas party catastrophe. Come Monday morning, it's never good to get called in the boss' office and getting fired. On top of that, finding out your boyfriend of two years never consider you a couple. Now needing a fresh start, Lila uproots her self from the city to Redwood Cove. Honestly, it was a good story, but I guess I was looking for more comedy. I mean the beginning was hilarious with Christmas party fiasco. However, with the rediscovering herself kind of made the story drag. I understand that Lila was looking for a fresh start after getting fire and losing the guy she was dating. Half way the book, the story started to pick and I found myself chuckling at parts. I liked how she changed into someone she could recognize and I did like the ending. Overall, it was an all right for me. So, you can always check this story out and see what you think of it. I hope you all have a wonderful day and I hope you are enjoying your reads. I'm super excited to share this book this morning for a couple of reason: First, I finished it last night and second it came out today. I know cutting it a little short here. However, the main point is I finished the story. YAY!!!!! Anyways, I don't know how many of you have read any of the Lord Hawkesbury's Players books, but they are pretty interesting read. If you are looking for something set in the Elizabethan time, you've found it with these books. So, To Tempt the Devil is about the adventures of Elizabeth Croft (Lizzy) and Rafe Fletcher. Rafe has come back to London to start a new life. When Rafe returns he finds his younger brother in a pickle. James asks Rafe to look after Lizzy while he is away. Somehow Lizzy and Rafe end up in serious trouble and have to go into hiding. Overall, I liked this story. To be honest, you can start by reading this book and catch up with the other two books at another time. The great thing about To Tempt the Devil can be a stand alone story. However, I have read the other two books and enjoyed them. Plus, you do see characters from the other books in To Tempt the Devil. The main characters are fun to read about. I love how Lizzy is thought as a shy girl, who starts to blossom once she gets to know Rafe. I think Rafe really brings out her true self. Rafe is a true treasure. Here is what I mean, he's the type of guy who will stick up for you when you need someone to defend you. A true hero, even if he has made a couple mistake in his life. And who can forget players they add a touch of humor to a serious situation. 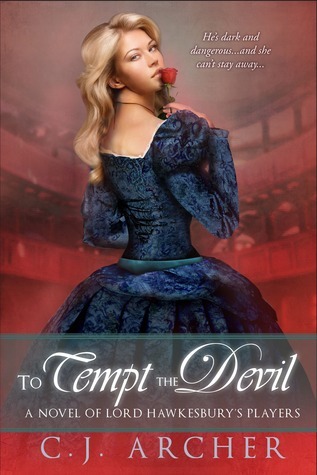 So, if you are looking for a Elizabethan romance with action, murder and mystery look no further than To Tempt the Devil. So, I hope you have a wonderful day and I will talk to you later. Good morning y'all! Today I have a special guess with me today and he has so graciously graced us with his appearance. Let me introduce y'all to Captain Russell Avery. Good morning, Captain Avery! Would it be all right with you if I called you Russ? Hello, Melody. My friends and family call me Russ. So, I’m hoping you mean to be friendly. What are you talking about I’m always friendly? I just wanted to have permission to call you Russ. I wouldn’t want to step on any toes. Plus, it’s a lot easier than saying Captain Avery. I suppose it’s all right then. As you well know, Russ, I'm not your biggest fan and just wondering if you are still a little worried about this interview? Well, Melody, most women do like me, so it’s a little off putting to deal with one who isn’t my biggest fan. But I’m sure I’ll survive. *Snickers* I’m so glad you will survive. I’m truly hoping that we might be the best of friends (maybe a little more friendly than before). My first question is how did you like the review? Well, the review was nice. I’m glad you’re a big fan of Bridget’s as I’m a big fan of hers myself. I do wish you liked me more, however. I’m not really a bad sort. I know you wish more men were like my brother Tristan, and sometimes I wish I were as noble as he is too. But at the end of the day, Melody, I am the man I am. Let me clear up the air on this account. I actually do not mind rakes. They tend to be my favorite heroes. However, I just didn’t like how you treated Phoebe. Not everyone can be noble and that’s alright. I have come to see that my treatment of Phoebe wasn’t what it should have been. Not to excuse my behavior, but perhaps to help you understand my state of mind after returning from Waterloo… There were a few times I wasn’t sure if I was going to make it home during that last campaign. And then I had a fiancée waiting for me, but I knew I didn’t love her. There wasn’t a thing I could do about the situation, however. Only she could cry off. It wasn’t a luxury I had. I suppose part of me hoped Phoebe would break our engagement and I’d be free, but the other part of me wanted to ignore the fact that the future I now had, the second chance I had at life, would never make me happy. I guess I can understand (not really, but leave at that). I love that I’m not the only one who isn’t your biggest fan either, is there any hope that you and Felicity Pierce will ever be friends? (HE SNORTS.) Felicity Pierce is a sharp-tongued harridan. How my sister can adore her is a mystery. Will I ever be friendly with Felicity Pierce? I can’t ever see that happening, honestly. The chit is just as stubborn as I am. That’s too bad. I kind of like her, but she can be a tad bit silly. Irritating might be a better word. I guess we will have to disagree on this account. Anyways, can you explain why you were so angry with Tristan & Phoebe? I am trying to put all of this behind me, but I’ll try to explain the situation from my viewpoint. I returned from war and did what was expected of men in my class. I met a pretty girl. She was well connected. I asked her to marry me. Did I love Phoebe Greywood? No. But I rubbed along well with her. She was charming and good-natured. We weren’t a love match, however. Most marriages in the ton aren’t. Most marriages are the combining of two families, of power and property. Phoebe was a good choice for me. I had no idea my brother was in love with her. Tristan never said a word, I swear it. So to have my fiancée stolen from me was a blow to my ego, but to have her stolen away by my own brother was the worst sort of betrayal. Had the roles been reversed, I would never have betrayed him. I still wouldn’t. So why was I angry with Tristan and Phoebe? My brother’s betrayal was the most painful thing I’ve ever experienced. I’m sorry that you had to experience that. However, you could have treated Phoebe a little better and the situation would have turned out differently. I could have ended up married to her, and still I would have lost my brother. So, have you reformed your rakish tendency since meeting Miss Kelly? Since meeting Bridget, I haven’t had the desire to spend time with any other female, if that’s what you’re asking. She is kind and forgiving and I think I’d be lost without her. I must say that is the sweetest thing you have said about any girl and I hope for happiness for the both of you. We do appreciate that, thank you. I’m not going to lie that it tickled me pink when I read your little problem. I hope that it has been all cleared up. Thank you for your concern. That is very kind of you to care. My little problem is a thing of the past. Falling in love with the right woman can cure a great many things. See I can be caring, even to my least favorite people. I must say that I’m liking you a little more. So, did Ava share some of the things I said about you on Twitter? I think Ms. Stone has shielded me from some of the things you’ve said. There’s no reason for her to do so, however. I’ve faced down approaching armies and lived to tell the tale. I can handle a little criticism. LOL! I have said some pretty harsh things. In my honest opinion I think you would have crushed Phoebe’s spirit and you guys wouldn’t have been a good match. So has your pride recovered from the incident? My pride was wounded. No man likes to be made a fool of. I was more hurt by Tristan than Phoebe, to be honest. I wish my brother – who I have always been extremely close to – had been honest with me from the beginning. I would have wanted Tristan’s happiness, and I would hope – between the two of us – we could have come up with a solution that didn’t involve deception, anger, or an early morning dash to the Scottish border. I wish he could have trusted me more. It was the realization that he didn’t do so that hurt the most. I guess I can handle that answer. I will be honest you have risen a notch in my book and the only reason is because of Miss Kelly. So, what is so special about Miss Kelly? Bridget. (HE CAN’T KEEP FROM SMILING) She’s everything I never knew I wanted. She is happiness, honesty and sunshine all rolled together. She has the kindest heart and sweetest disposition. And her capacity for love and forgiveness are awe-inspiring. That is so sweet. I love sappy answers like that. Has everything been patched up between you and Tristan? For the most part, Tristan and I are fine. Some damage was done to our relationship, but it’s important to both of us that we find our way back to each other. You have to realize Tristan is not just my brother, he’s my brother-in-arms. We were raised together, but we also fought side-by-side together for years. Our bond was stronger than most brothers’. But again, Bridget, my sweet Bridget, is responsible for my reconciliation with Tris. And Phoebe has helped bridge the gap between us as well. So, while there is a little awkwardness – and, really, how could there not be? – we are doing much better now than we were several months ago. I’m so glad that you guys are patching things up. I hope that things will be back to normal one day. Thank you, Russ, for coming today, I really appreciate you being here. I like you a little more today. I think part of it has to do that you came to visit. Would you be willing to answer any questions my fellow followers may have? Of course! I’ll be happy to answer anything anyone would like to know. And thank you, Melody, for having me here today. I'm so excited that Russ has been willing to answer any questions you guys may have. I would love to see some questions you might have for him, so please ask him. This was my first Sarah MacLean book I have ever read. I fell in love with the story and this is the reason I went back and read the first book. Of course after reading Nine Rules to Break When Romancing a Rake I had to re-read Ten Ways to Be Adored When Landing a Lord. Here we go with the story and why I LOVED it and still LOVE it. 1. You must be seen, but barely heard. 2. Do your best to remain in your's mind and in his eye. 3. Master the art of remaining forth coming, yet not overpowering. 4. Enlist allies. Strategic alliances will be necessary (always a must). 5. Cultivate interest in your Lord's interest. 6. Once you have captured his attention, do not waver. 7. Show appropriate awe in the face of his remarkableness. 8. Learn to LOVE the errors of his ways (trust me there are many). 9. Nurture your mystery. Spend sometime away (you know that absence makes the heart grow founder). 10. Last but not least remember to love, to honor, and to cherish in all the ways they deserve. These are very important lessons to remember when landing your lord. However, head-strong Isabel Townsend has a hard time using these lessons when trying to land Lord Nicholas St. John. After all he is a "paragon of manhood," yet somehow with her brashness she manages to capture Nick. I LOVE this story. I still chuckle while reading the advice from Pearls & Pelisse and how these lessons go out the window for Isabel. The Duke of Leighton is still a pompous... well I shouldn't continue with that thought. This story is definitely filled with scandal and intrigue that is so much fun to read. Especially, when Isabel is barely keeping the roof over their heads. While Ralston is a rake of the first-rate, Nicholas is the complete opposite. Above all, Nicholas can't keep away from a damsel in distress, even when they don't realize they are need of help. Still one of my favorite books. I hope you get a chance to check out this book if you have the time. I leave you today and happy reading. Happy Thanksgiving to everyone and those who are not in the US happy Thursday. If you have been reading my blogs for the past few months you would know that I'm a huge Ava Stone fan and absolutely love her writing, and adore most of her characters. However, there has been one character I've had the hardest time with and that would be Captain Russell Avery. I'm really surprise on how soft I went on him in the last review, because if you follow me on twitter I wasn't so nice. I actually really despised him and thought he deserve what he got in the end of The English Lieutenant's Lady. After all he didn't love the girl he was betrothed to and treated her more like an object. Let's be honest that doesn't go over well with me. Without further ado let me share Ava's newest book To Catch a Captain and what I thought of it. We catch up with Captain Russell Avery at his brother's home not really morning the lost of Phoebe Greywood, but just suffering from a wounded pride. It wasn't like he was in love with the girl, but his pride took a toll. Poor Russ. Sorry he won't get any sympathy from me. Anyways, he meets Bridgett Kelly while staying at his sister's home in Bayhurst Court. Lets just say he was struck by Bridgett appearance. Now my thoughts. First off, Russ is still not my favorite guy, but he has risen a notch or two. He does have some redeemable qualities in the story. I mean when a guy goes beats up a dude that tried to kill Bridgett, because she happens to be Irish deserves to rise a little. There were times I did burst out laughing at Russ, because I thought they were funny. (Yes, I do have a mean bone in my body). However, I do love Bridgett; I think her character was the sweetest and kindest. I think she is perfect for Russ, even though he has some major flaws. Overall, I thought the book was a sweet story and as painful as it is for me to say this I'm glad Russ found happiness. It was a pretty good read and I hope you get a chance to read Russ' story and the other books in the Heroes Return trilogy. With all that said, I hope that y'all come back next week to meet Captain Russell Avery as I get to know him better. Maybe he will change my opinion of him as he clears the air of somethings. I hope I didn't scare him off. Other than that I hope y'all are having a wonderful day and enjoy the stories you are reading. Confession time: I probably could have write this review without re-reading this book. 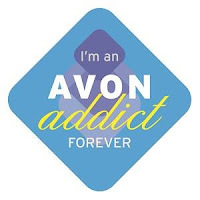 However, I did, because one of my friends who happens to be an Avon Addict was reading Sarah MacLean's soon to be newest book. I told her that I loved Callie and Ralston's story and I believe to be the best story out of the Love by a Number series. Needless to say she had to add this to her TBR. After talking about my love for Nine Rules to Break When Romancing a Rake, I just had to go back and re-read the story. All these things are important when you are trying to romance a rake and may help. After all it worked for Lady Calpurnia Hartwell when she was trying to find herself and ended up capturing the heart of a notorious rake; Gabriel St. John, Marquess of Ralston. Oh my goodness, I LOVE THIS BOOK! I have read this story at least three times and I still love it. 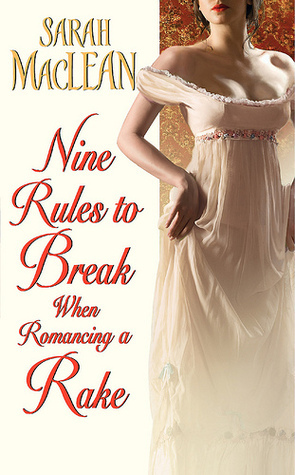 Nine Rules to Break When Romancing a Rake is a wonderful beginning to a series. I mean you see all the key people who will make up the series and you wonder how this is all going to workout. First off, Ralston does have a noble heart. I mean, when you take in a half-sibling into your home that you could so easily said you want nothing to do with. Especially, when she acts like a hoyden. Then he tries so hard to be decent when it's not in his nature. Then you have Callie who is finding herself after 10 years of hiding. She just blossoms in front of Ralston and its just utterly amazing. 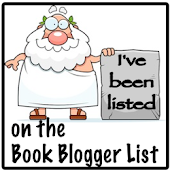 So, if you are looking for something to read you might want to check out Sarah MacLean's books, because I think they are fabulously fun to read. I leave you today with these rules and maybe y'all find your own rake to romance. All right, last night I wanted to read something quick and enjoyable. So, I started To Dare the Duke of Dangerfield by Bronwen Evans, which happens to be the first book in the Wicked Wagers trilogy. First off this is a light-hearted story that is mainly here to entertain you, it's short and sweet and nothing more. I personally like to have short and sweet story here and there. They tend to give you a break every now and then. With that said, we meet Lady Caitlin Southall who catches eye of "every woman's wicked fantasy," the Duke of Dangerfield. Even though he's every woman's wicked fantasy, she wants nothing to do with him. All she wants is to live a quiet life and find someone who will love her for who she is. However, hopes and dreams have to be put on the back burner until she can get back her home that her father so carelessly wagered away to Harlow Telford (the Duke of Dangerfield). Upset at the situation she goes to the Duke to plead for her home. Unmoved by her pleads offers up another suggestion, they could wager for the home. The one who could win two out of the three got the home: faro, cake baking, and a horse race. Granted the caking baking idea was a little silly, but all the wagers actually made the story light and amusing. Honestly, this story is brain candy. Sometimes we all need something that is light and fluffy. I enjoyed the story and plan to read the rest of the Wicked Wagers. I'm not going to lie, I really liked the ending. Granted it was highly unlikely to happen that way, but it was something I was really hoping for. I am a sap, and the story gave my inner sappiness joy. So, if you are looking for something to read that isn't to heavy, I would suggest you check out To Dare the Duke of Dangerfield you might get a kick out of it. So, have a wonderful day and keep on reading. So yesterday I started Stephanie Draven's In Bed with the Opposition. I have to say that I was pretty amaze with the story, because I'm not really into politics. However, this was pretty good read. So, let me share with you a political caper and my thoughts. Growing up in unstable life, Grace Santiago made sure her life mission was stable. Which is pretty hard when your working in politics. However, she has manage with her Personal Life Handbook and tries to follow those rules to a T. Yet, whenever Ethan Castle is around those rules go out the window. Ethan has had a thing for Grace and he's not going to let her get away this time around. Even it means working for the opposition to be close her. This should be interesting. As I said in the beginning, I'm not really into politics. However, in this story it wasn't bad. I actually enjoyed the story. I really like the chemistry between Grace and Ethan. I think being on the opposite side made the story engaging. I absolutely love how Ethan brought out Grace's true self out. So, if you are looking for a quick read that has a political twist to it, you might enjoy In Bed with the Opposition. So, happy reading. I'm excited to bring to you the next and final installment of the Lords of Midnight series. I have to say that I have enjoyed the previous book and I still want to read the first book in the series. With that said, I found Too Dangerous to Desire amazing and enjoyed the story. Without further ado a quick sum up and my thoughts. Always sensible, Sophie Laurance finds herself in a bit of a pickle and is not sure how to escape without a scandal. Somehow Sophie ends up getting blackmail by Morton and Dudley who have been known for preying on weaker victims. Cameron Dagget sees Sophie and remembers a time when life was vastly different. Unsure if he should involve himself or run to the hills. Yet still feels a pull towards to Sophie and decides to get involve. After all she might be in need of a scoundrel to save the day. This book kept me up most of the night. Especially when you have blackmail, murder and mayhem, those things make a story exciting to read. I love how Cam kinda brings out the spirit of adventure in Sophie, even when its a tad bit dangerous. Plus, who doesn't love a hero who lives on the out skirts of society. I honestly think they make the best heroes. As the story went on I wonder what perils awaited for Cam and Sophie. Believe me there were perils awaiting them. You never know who is your friend when danger is on the line. Overall, Too Dangerous to Desire was a sensational read that kept me wanting more. A page turner to say the least. So, if you are looking for a troublesome hero with a heart of gold (but don't tell him), murder and blackmail, you might enjoy this book. So, I leave you today with hopes of finding an adventure. Today's selection is light and fun, overall a romantic comedy. So, if you love watching these types of movies, you will love Stephanie Bond's new book Stop the Wedding. Let's meet the characters and what I thought of the book. Annabelle Coakley: Divorce Lawyer, and daughter of the bride. You have to view this as if you were watching this unfold on the screen (by the way would be HILARIOUS). With all romantic comedies you have your cast of characters and how they all work together. Annabelle and Clay actually have the same mission: to break their parents apart, but they don't realize they are on the same page. So, the story really focuses on those two trying to sabotage the relationship and call off the wedding. If you are a fan of romantic comedies you know that this never works, and you just have to watch how it all plays out. In all romantic comedies you have the unlikely couple, which you can guess (at least I hope). If you remember the plot from My Best Friend's Wedding, some what similar to that plot except you have the kids trying to break the wedding. I have to say it's a lot of fun. Plus, you need the friend that says, "this is a bad idea." Do they listen to friend? No, but the friend is always there. Finally for a complete romantic comedy you need the moment where you worry if it will all workout or not (the nail bitting moment). If you are a sap like me, you will start crying at that moment. Which Stop the Wedding! has all the makings of a romantic comedy movie. I think this book would be hilarious if they ever do that. I loved Annabelle and Clay, because they have so much animosity towards each other. At the same time, they are so attracted to one another and trying to fight there feelings to save there parents from disaster. FUN, FUN, FUN! I loved this story. 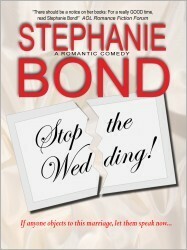 So, if you are looking for a quick light read, I would suggest Stephanie Bond's Stop the Wedding! So, I leave you today and I hope you are finding those fun reads.